Three years ago, I introduced a new weekly series to my blog which was called This is Our PDA Story. 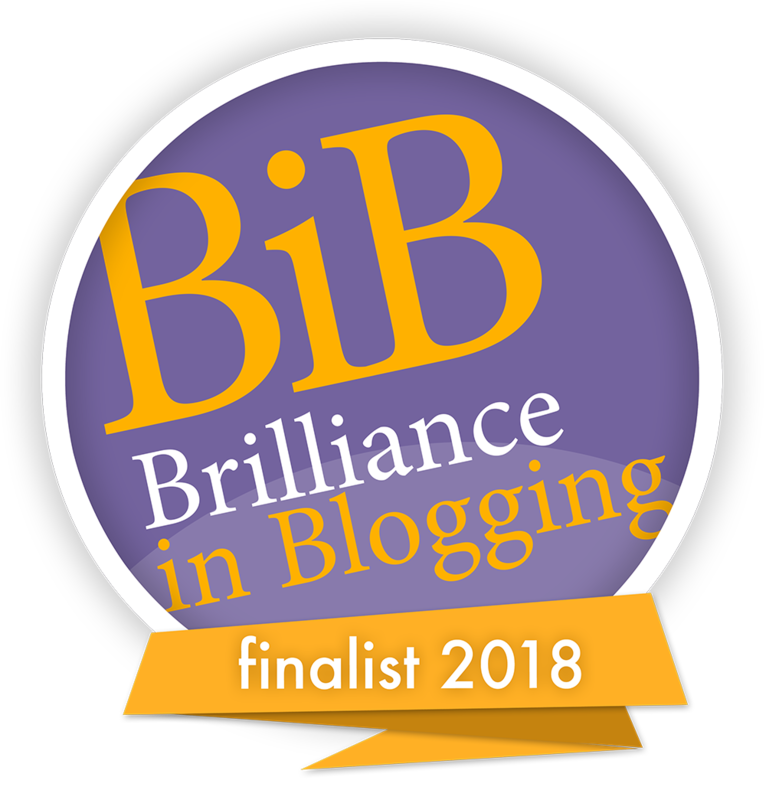 For this, I handed my blog space over to other families living with the type of autism known as Pathological Demand Avoidance. The aim was to share those experiences and help build a picture of what living with this autistic spectrum condition could be like. 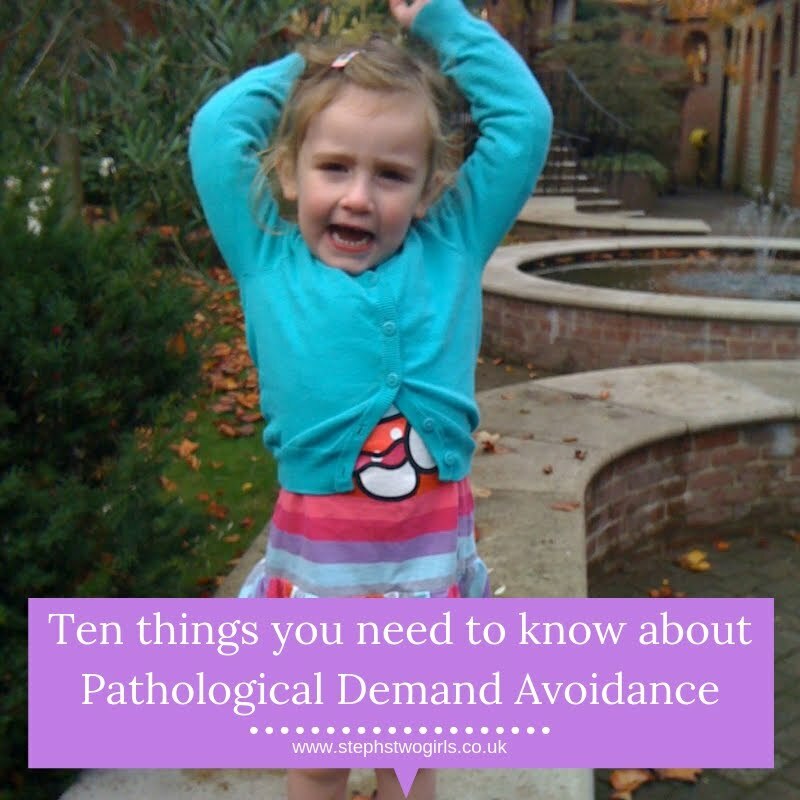 The series took a couple of breaks along the way, but altogether twenty-one different accounts of life with Pathological Demand Avoidance (PDA) were read by many people. Readers were mostly in this country (UK) but some were further afield - of course PDA is not limited to the UK. I received many grateful comments and messages from parents who were relieved to see that they were not the only ones who were experiencing challenges in this way, and from some who recognised characteristics in themselves. 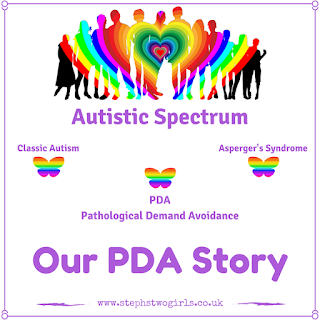 My renewed focus for my blog this year is to continue to spread the word about PDA as much as I can. I'm absolutely certain that there are many who have not yet heard of this particular type of autism, but whose lives would be improved significantly if they could understand and use the most helpful strategies. So here we go again with this weekly series, with a couple of small changes (new image, shorter name!). 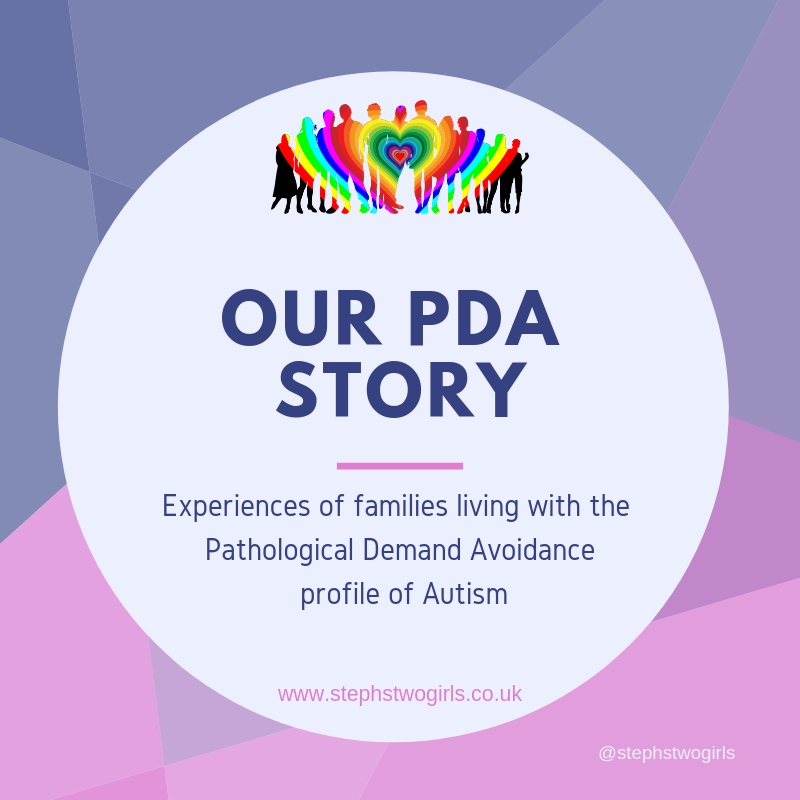 For 'Our PDA Story, Week 22', this parent below bravely shares their story. There's an explanation of the route to diagnosis, along with solutions which have worked well for this family. If you can offer any comments of support below, they are always much appreciated. Our 6 year old son was displaying extremely aggressive behaviour and violence at home. There have never been any problems in school. He was targeting me, his mum, and his older brother who was going to high school. He had been “difficult” since around the age of 2 ½ but by the age of 6 we couldn’t excuse it anymore and the level of violence was breaking the family apart. Our GP was extremely supportive and referred us to CAHMS. They refused to see us on the grounds that the problems were all behavioural. I contacted Team around the Family and behaviour support. I did the Incredible Years course and spoke to school about the issues we were experiencing at home. We were all struggling. I tried to research his “symptoms” but couldn’t find anything to fit. The closest thing I could find was ODD but he was good in school. 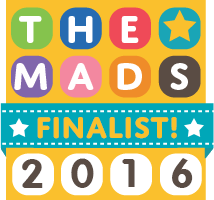 Coming to the end of my tether I made an appointment for a private assessment for autism. I genuinely didn’t think he was on the spectrum because he has good language skills and good eye contact. He has friends and isn’t afraid of loud noises. That was the extent of my knowledge about autism at the time. I left the assessment with a diagnosis of ASD with a presentation of PDA. CAHMS agreed to see us as a result of this. We were kept waiting 40 minutes to be seen only to be told that I should give my son more opportunities to run around outside, he doesn’t have anxiety; he has autism and that the despair I see in his eyes is a reflection of my own despair. Oh, and I was also asked to explain what I meant by him masking at school. I have read so much since diagnosis. I think I know more about ASD than the person we saw at CAHMS. 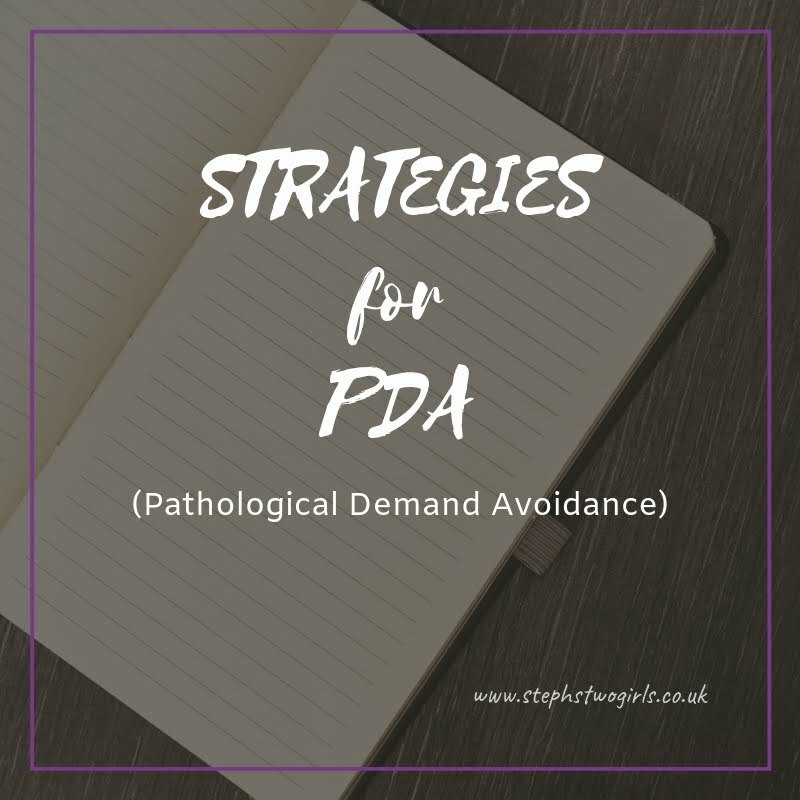 PDA, however, is a bit of a curve ball in that the strategies that have proven useful for people on the spectrum don’t work with those who are demand avoidant. It is trial and error for us still, but the guidance from the PDA Society has been invaluable. School have put in place an IEP and are aware of the strategies suggested by the PDA society as well. My son is a smell seeker. He loves smells. I have used this to our advantage and introduced essential oils into our daily routine. They have helped him and us enormously. He settles to sleep better, he is more relaxed, he is more compliant and far less violent. I had to give up work because it was impossible to get out of the house in the mornings. This has helped him because things are more relaxed. I allow time on his tablet that I was restricting before. I reduce demands when he is anxious. I don’t always ask him direct questions, I have to be careful how I phrase things. I try to make things “fun” although this is difficult. My son doesn’t like praise, so I always give indirect praise. There are other things but each child is an individual so not all tactics are going to be useful for all children. If you have met a person with autism, you have met one person with autism, so it really is finding out what works well for the individual child. I have tried calming music, for example, but he doesn’t respond well to that. I have managed to reduce his anxiety, which I am so pleased about. Using the essential oils has empowered me to actually help my baby. Reading and implementing suggested strategies has empowered me. Not giving up when things I have tried haven’t worked has empowered me. In the beginning I was frantically looking for someone to help him, but it became very clear that that was going to be down to me and me alone. I had to dig deep to find the inner resources and strength to do this. We have gone from daily, violent meltdowns lasting up to 2 hours a time, to one or two much shorter meltdowns a week. The most difficult challenge for us is school. In the days before the start of a new term, his anxiety increases massively. The fight or flight response really kicks in. We ride the wave and wait for the routine to get back to normal. I sadly foresee a day in the future when he no longer attends school, but for now, we stick with it. I very much work on the principle of taking each day as it comes…sometimes each minute as it comes. I am not so afraid for his future now. I understand him now. We are re-building trust in each other and spending quality time together. 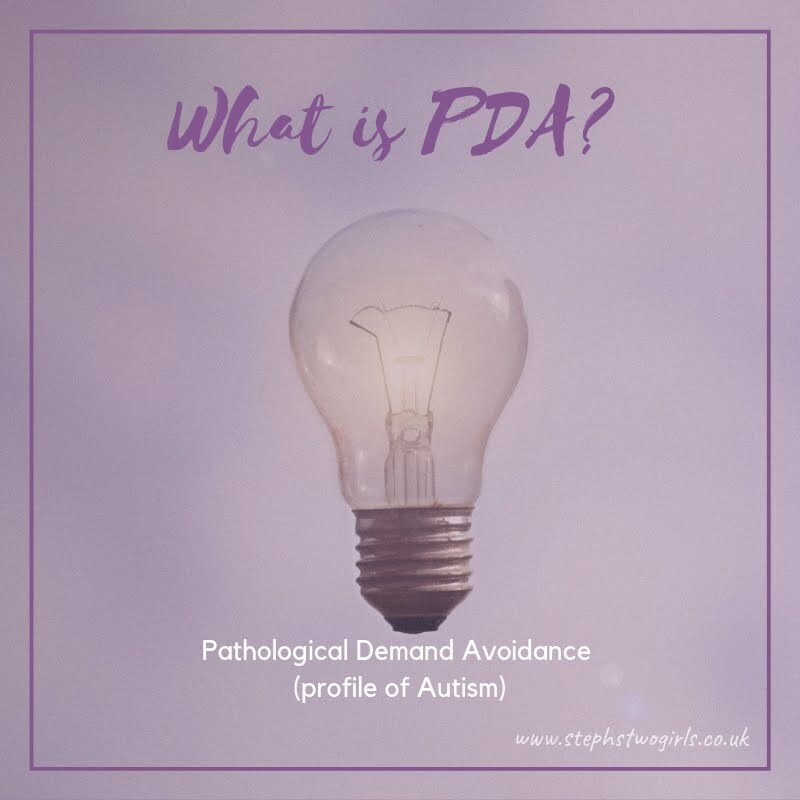 PDA can often be mistaken for ODD (Oppositional Defiance Disorder); my most popular post explains the difference between PDA and ODD. 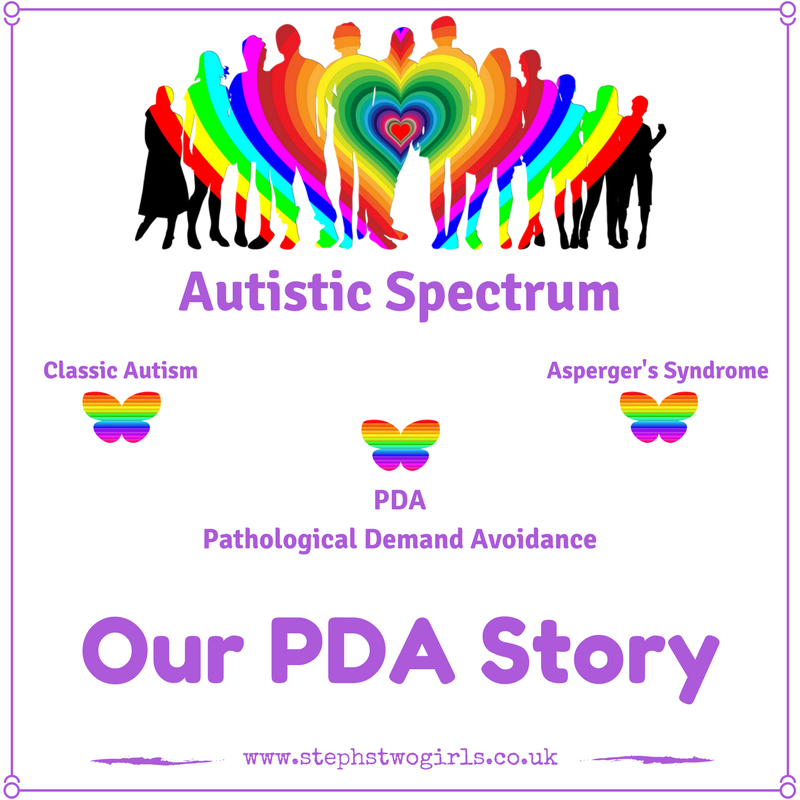 To look back on previous stories of PDA showcased on my blog, please choose any of the posts highlighted in this list: This is our PDA story. This includes experiences from girls, boys, young and old, and includes some from adults diagnosed with PDA. There is much more information over on the PDA Society webpage, and a great variety of resources can be found on the PDA Resource website. 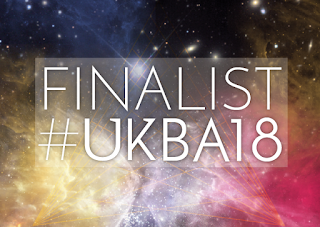 The PDA Society are holding a PDA conference in Birmingham on 18th April 2018 and the keynote speakers are professionals who have dedicated their lives to understanding more about PDA.